It’s back! Startup Weekend Education returns to Orlando, May 13-15, 2016 at Valencia College’s Collaborative Design Center. Are you wondering what Startup Weekend Education (SWEDU) is all about? Think about how you talk about getting around to implementing an idea to change education, you might finally start building or creating your idea, and finally six months later you decide to take some action. Pack all that into a single weekend of pitching, validating, and building with support from mentors and entrepreneurial rock stars! 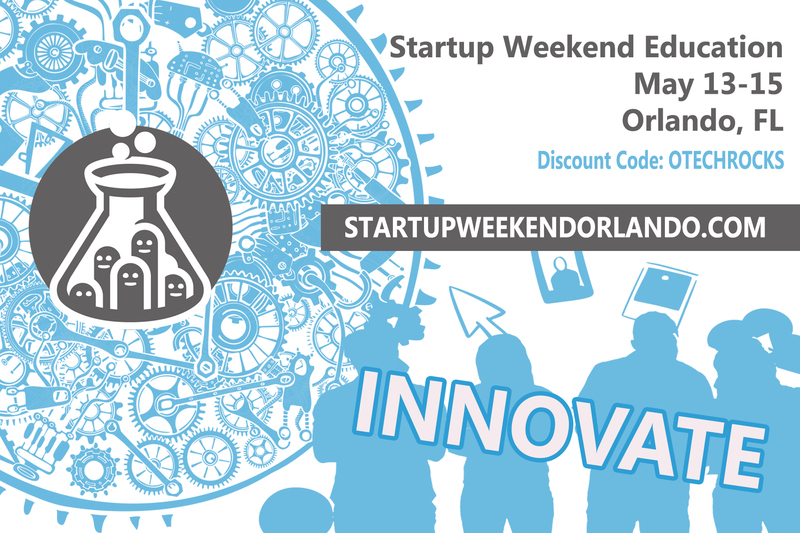 It’s time to take action and join us by registering at STARTUPWEEKENDORLANDO.COM and use code OTECHROCKS for 25% off! This isn’t the first Startup Weekend in Orlando. You might of heard about the Startup Weekend Orlando team TROBO who recently was on Shark Tank or AspriEDU who won our very first Startup Weekend Education in Orlando four years ago, who are still going strong in predictive analytics for online students. What does the ticket price include? Yummy food for the entire weekend, an awesome t-shirt, a lot of amazing mentors, some cool swag, and a learning experience that can’t be replaced. Don’t wait until it’s sold out! Take action and join us by registering at STARTUPWEEKENDORLANDO.COM and use code OTECHROCKS for 25% off!